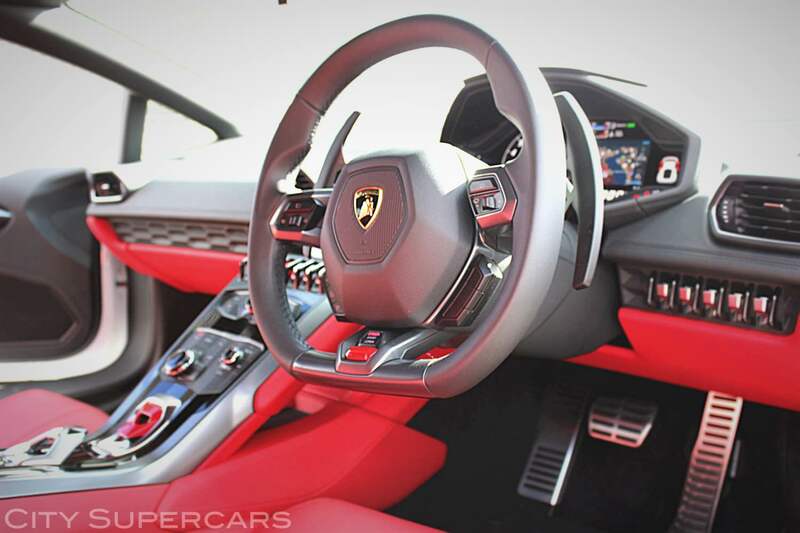 A giant leap forward for man and machine, the latest Lamborghini is a huge technological advancement. Great styling, better comfort, incredible interiors, and ultimate performance. 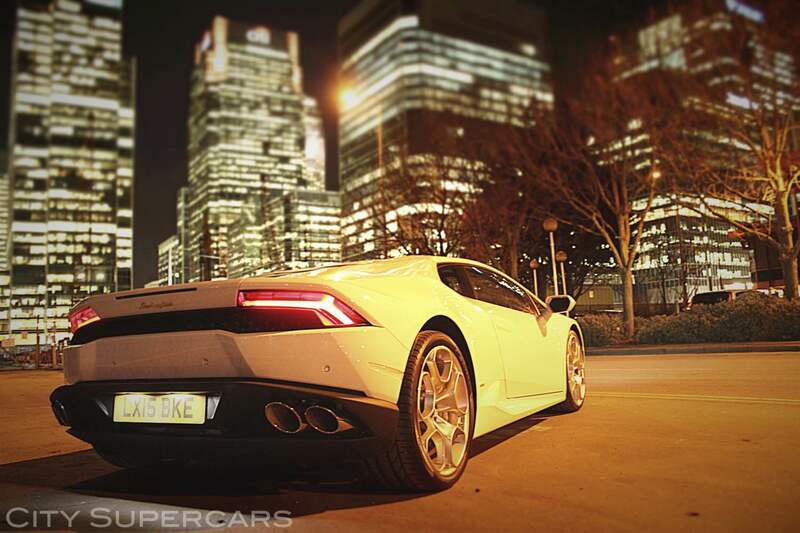 We have taken delivery of our “15 plate” 2015 Huracán and we are one of the only hire companies in central London with one. 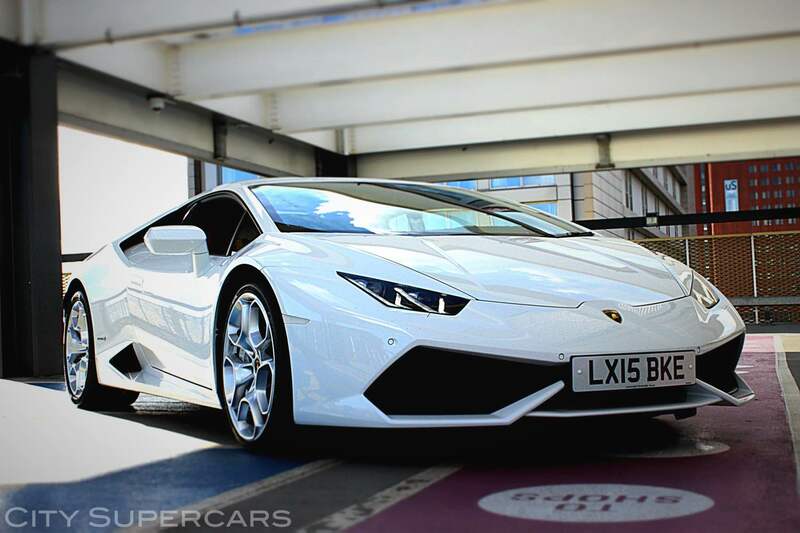 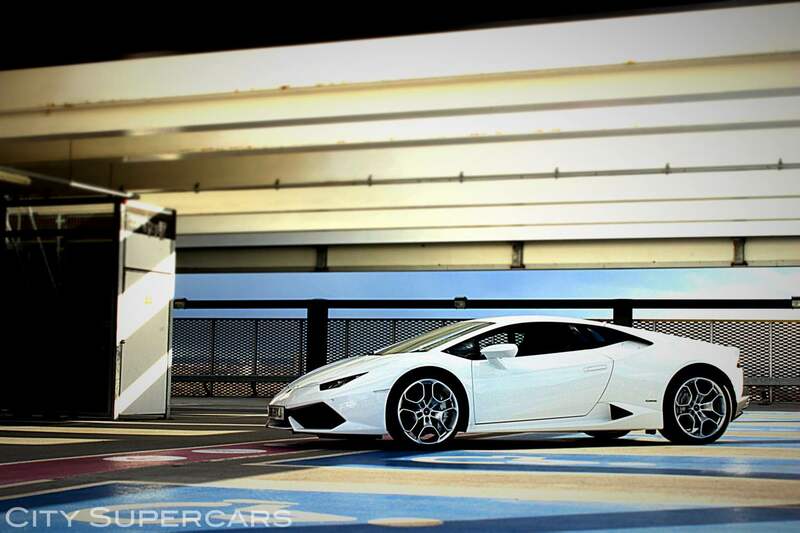 Now available at a reduced daily rate, our gorgeous white “15 plate” Lamborghini Huracán coupe supercar is available for short term hire- days, weekends, weeks, and long term rental, for weddings, holiday, anniversaries, parties, gifts, work team-building exercises etc. 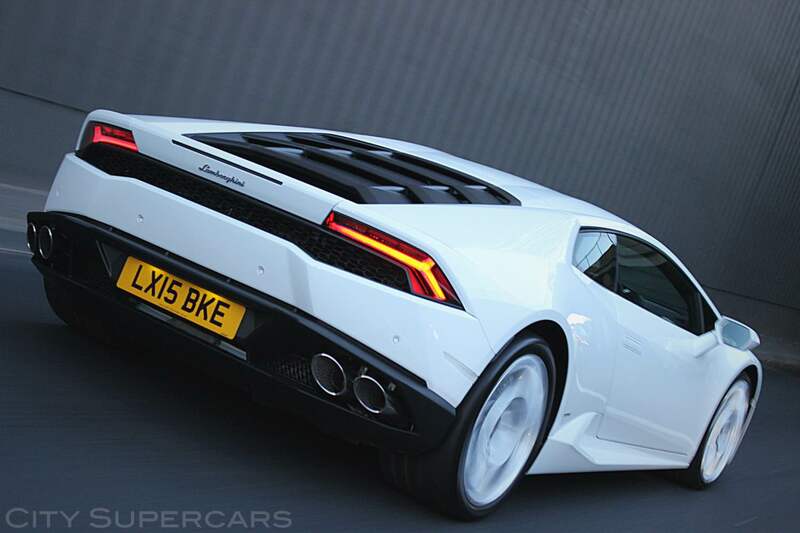 The Lamborghini is based in our London depot but you can also collect it from our Hampshire or Birmingham depot, or we can deliver to Surrey, Berkshire, Essex, Kent, Middlesex, Sussex or nationwide! 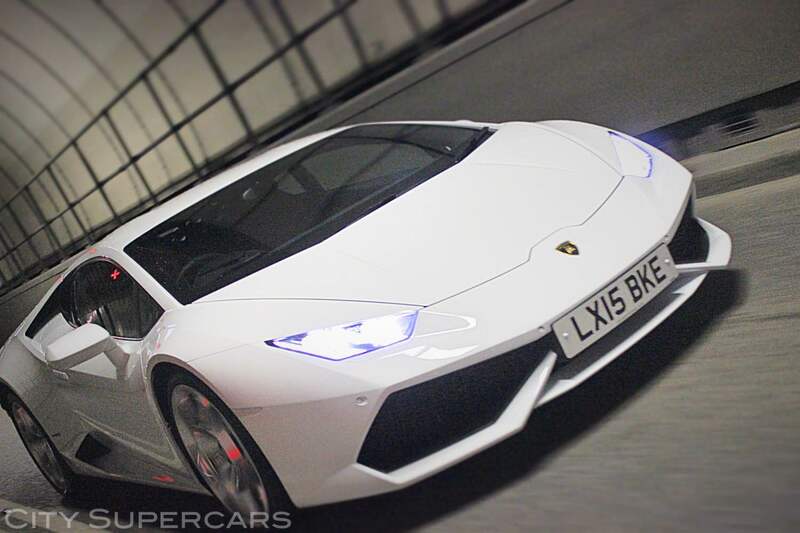 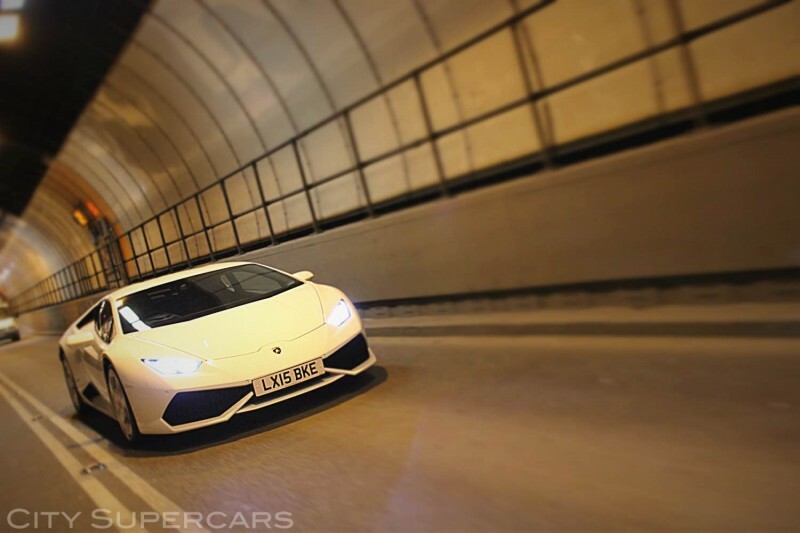 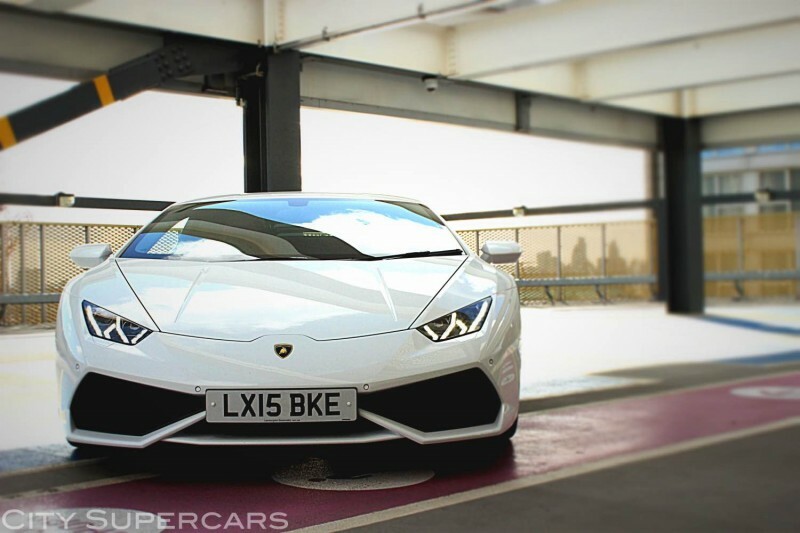 We currently have 3 Lamborghinis for hire in central London, call us now for supercar rental.